What: Online collaborative workshop to strengthen bid proposal. Result: The bid team engaged the wider groups of stakeholders and gathered almost 100 ideas and comments to inform the most compelling sustainability-focused bid possible within time and resources constraints. Head of Sustainable Design and Construction, Bouygues UK. Bouygues UK is part of Bouygues Construction, a global player in construction with operations in over 80 countries. In autumn 2016, Bouygues UK’s Sustainable Design and Construction team were preparing their response for a large tender opportunity. They recognised that a focus on sustainable thinking was key to presenting a successful bid to their client. 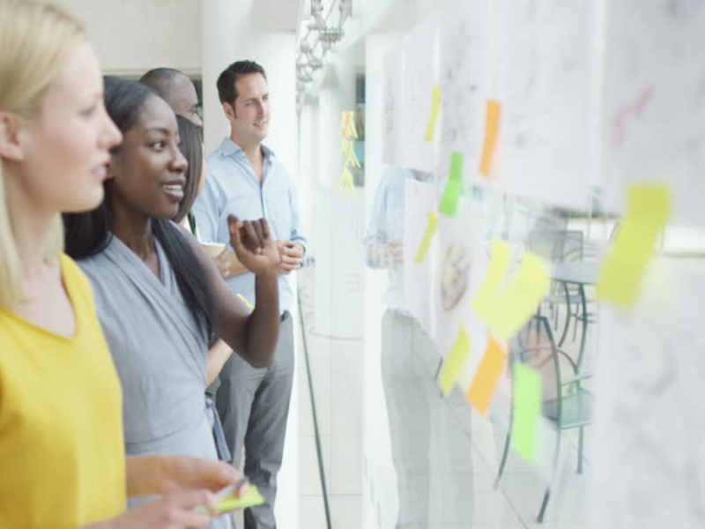 The team needed an effective way to gather the ideas and feedback from a large number of expert stakeholders spread across their business and from external consultants, all within a short timeframe. They had already planned for a key face-to-face workshop, but were looking for a way to increase accessibility and strengthen their bid proposal by enabling more team members and consultants to contribute valuable knowledge and ideas. The Sustainability team immediately recognised the potential of online tools to augment and add value to their face-to-face session. A technology that worked to engage participants around the issues under discussion would enable broader, deeper insights to be captured and shared. Such an approach would also be convenient for workshop participants, potentially before and after the workshop. 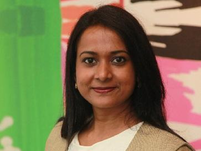 Nidhi Baiswar, Head of Sustainable Design and Construction for Bouygues UK, had come across Stickyworld via the Soft Landings User Group forum where she met the founder of Stickyworld. Stickyworld seemed the natural choice to support an online collaborative bid workshop, enabling around 50 different stakeholders to participate in the ideation process for the bid. 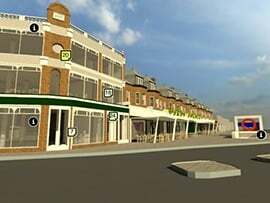 To inform the sustainability aspects of a bid proposal for a large London-based construction project, Bouygues UK’s Sustainable Design and Construction team needed to find a smart way to consult and engage different stakeholders from across the business and consultant teams within the set timeframe. Stakeholders included developers, contractors, design consultants, utilities companies, architects, engineers and local council representatives. As well as professional input, the team felt it was important to include the voices of local community groups who could provide feedback on specific local features and priorities. The team recognised that setting up face-to-face meetings to engage all these people would be too expensive and time consuming, but that each had unique and valuable insight and knowledge to improve the bid. It would also be helpful to encourage interactive discussion between stakeholder groups because this would build consensus of the priorities upon which to focus. The team decided online engagement had a vital role to play and that it could augment and feed into a carefully planned face-to-face bid workshop with a much smaller, select group of stakeholders. The Sustainable Design and Construction team set up a private online collaborative bid workshop hosted on their Bouygues UK Stickyworld portal. This was set up two weeks before the face-to-face bid workshop. Using Stickyworld’s built-in CRM, they were able to send invitations to a list of all the experts and stakeholders they wanted to consult, up to 50 people. The team created and published an interactive Powerpoint slideshow to present and explain the strategy and proposals to workshop participants. With each slide, workshop organisers could present content and invite participants to leave their ideas and feedback. The online component offered a more convenient way for busy participants to contribute at a time to suit them. The Bouygues UK team were able to see people’s comments in real time, recognise the author and context of the feedback and reply when needed. Participants were encouraged and able to respond to each other’s ideas as well in order to develop the dialogue and wider awareness of the ideas and issues at hand. By the time they closed their online collaborative workshop to comments, the team had gathered almost 100 ideas and comments. To process results further, and pull them into the bid, they were able to download a .csv file of all of these comments and they were then tagged and analysed for priorities and relevance to the bid. This insight was then used to inform the draft proposals presented at the face-to-face bid workshop. There the drafts were further explored, validated and improved by a select group of stakeholders, before being submitted. Collaborative workshops are a great way to crowdsource disparate ideas from a group of people and are an essential component of the modern day competitive tender bid preparation process. But relying solely on face-to-face activities misses the opportunities for more ideas to be contributed, before and long after the physical workshop has ended. And many people will have afterthoughts which can be really valuable to finalising the ideas. The online collaborative workshop, powered by Stickyworld technology, helped the team at Bouygues UK to provide the most compelling sustainability-focused bid possible, and within time and resources constraints, helping them progress in the competitive process. If you would like to learn how to deploy Stickyworld technology for your own collaborative workshops, book a demonstration with our team.